In the foreground, back-lit, Girl Skipping (1950), Man with Javelin (1958), Female Bather Playing (1958) and Glass with Flower (1951). Located on a hillside, the dimensions of Notre-Dame-de-Vie gave Picasso the space he needed to work and to house his collection of works. 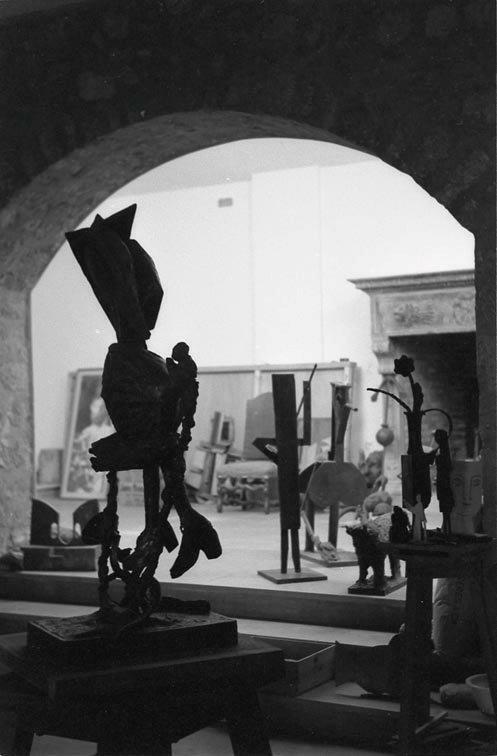 On the ground floor of the residence, the artist installed his sculpture room.